Venus Legacy stimulates collagen production and the breakdown of fat cells using heat. It is used for skin tightening & cellulite reduction. Few of us enjoy a problem free appearance and all of us will have to deal with the effects of aging. Learning more about your options can help you take the first step toward implementing the solutions. A consultation with Dr. Persky is the best way to find out which treatments are best for you. We offer an attractive, state-of-the-art facility. Enhanced tools such as our computer imager are helpful when investigating cosmetic options. We have a well educated staff to assist you before, during, and after your treatments. You will quickly discover that our office has an atmosphere that is warm and friendly. We are a team of healthcare professionals who respect your privacy and will do our utmost to assure your well-being. Our practice is dedicated to helping patients achieve the best possible results in their appearance. Solving various beauty challenges has become easier and safer. Dr. Michael Persky considers his work to be as much an art form as a medical procedure and has practiced facial plastic and reconstructive surgery in Encino, California since 1985. He graduated with honors from Emory University School of Medicine in Atlanta, Georgia. 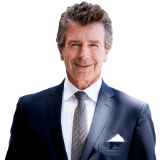 His residency was completed at Los Angeles County, University of Southern California Medical Center in Otolaryngology and Head and Neck Surgery, specializing in Facial Plastic Surgery. As a Clinical Instructor for the Department of Otolaryngology-Head and Neck Surgery at the University of Southern California Medical Center, Dr. Persky continues to educate and support upcoming physicians in their residency. He is a Board Certified Fellow by the American Academy of Facial Plastic and Reconstructive Surgery, as well as, Board Certified by the American Academy of Otolaryngology-Head and Neck Surgery. As a medical expert and consultant, Dr. Persky has appeared on numerous television news segments discussing a variety of medical topics. He has also been featured in the Los Angeles Times, the Daily News, and Los Angeles Magazine. He travels throughout the United States lecturing and instructing workshops.